I'm on a spending ban, a very strict one, partly because I've been haemorrhaging money every time I pass a beauty counter of late but mostly because the lads went back to school this week and uniforms for grown men don't come cheap. When the eldest INSISTED I bring him to Santry to pick up a game (he's not on a spending ban) I thought it'd be a little bit rude not to throw an eye into Superdrug and perhaps swatch ALL the things. 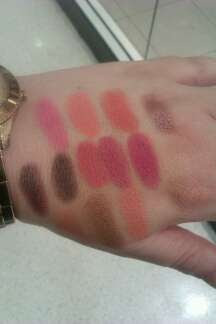 I'd heard of budget brand Fashionista before but because I'm not often in Superdrug, I hadn't tried their products. Having considerably swatched a good portion of the stand, my hand was drawn back to Amber Glow again and again. Amber Glow is right up my coral loving street. 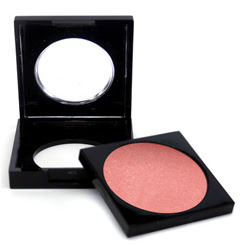 Highly pigmented with a golden shimmer, it's the ideal blush for fair toned ladies (of which I am one). I've been grieving the loss of my Bella Bamba as a bright cheek colour for evenings out but this one is spot on at just about one tenth of the price. Now I hear you thinking there, spending ban, right? 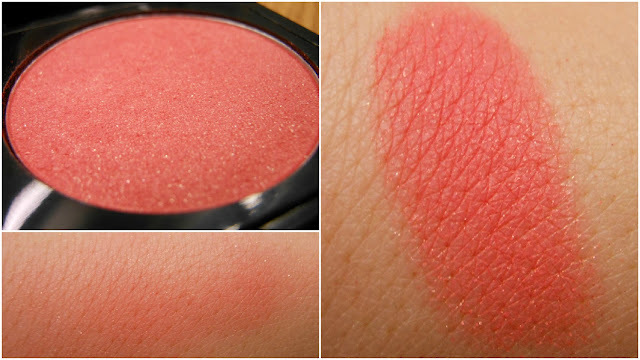 I mauled this mono blush for a good five minutes before the eldest sloped around from the manly men's aisle. I explained my predicament and he took the blush from me 'Is this all you want?' 'Uhm *frantic scanning of the stand* Yep', and with that he brought it to the counter for me with the change from his game. Score! Technically I didn't break my ban, though the wages bill this Friday will be up by a fiver, but for €4.95 and the chance to build a budget freedom palette (once the ban is lifted), I'm absolutely loving my first Fashionista purchase. Have you tried anything from their range before? Anything else I should pine after? Sue, that shade is STUNNING!